But with new problems come new solutions, and Tarik is not interested in clinging to custom if it means losing his people. Some traditions are to be respected—but so is common sense. He dares not ask, for no matter what her answer, he will hear only the truth. And some truths he cannot bear the weight of. Only recently did he learn this about himself. This book had me giggling for a completely unintentional reason: one of the gifted people is called Lingots, which has to do with hearing the truth but also being able to speak and understand any language … and funnily enough my language learning app rewards you in a currency called Lingots. I’m quite sure it’s unrelated but a nice detail anyway. Only because someone is able to hear if they are being lied to obviously doesn’t mean they know the answer to everything. This becomes ever more clear when the two main characters of this duology … let’s call it meet. 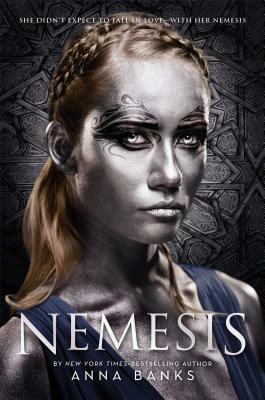 Tarik is a Lingot and Sepora has way too many secrets to hide, including her very existence. And apparently hiding in plain sight actually works. For a while at least. I had a lot of fun reading about these two dancing around each other and learning to navigate personal and political matters (because obviously while falling in love you also must be able to run/save a nation/the future of your continent). I realised just now that most of my bookmarks happen to be in Tarik’s chapters. Maybe because the outside perspective of his third-person narration lends itself better to being quotable than Sepora’s first-person point of view. That or I’m toast, which is also a good explanation. Anyway, these perspective switches are a neat narrative method. It might have been confusing to switch points of view within characters as well, but sometimes that could have added another layer of mystique or insight. I would have loved to really have Tarik’s perspective or a more external view on Sepora, but I understand why this might have seemed unfeasible. The book ends on a mean cliffhanger but luckily the second book is already out so that torture can be avoided. Would you like to be able to immediately know if what you hear is the truth? I think this can be a real burden while at the same time also be quite useful for various reasons. Share your thoughts and teasers in the comments! Great teasers. The first one reminds me of the story of the woman who always cut off the end of her roast because that's how her mother always did it. Turned out the mother's roasting pan was too short. Yep, I want to read this. And that cover sure is something!